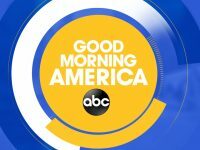 A little over a month ago, ABC’s Good Morning America debuted a new theme by Matthew Kajcienski of DreamArtists Music. It’s a different sound for the number one morning show. It carries a weight of importance, yet executives wanted to completely steer away from anything orchestral. “As mainly an orchestral/electronic composer, this was an interesting challenge in the way I normally approach orchestration,” Kajcienski told me. You can read more and listen to the theme here.